The Department of Anaesthesiology at the University Hospital Rechts der Isar Munich offers the full range of services in this medical field. The department specializes in the use of all modern methods of anesthesia, pain therapy, intensive care and emergency medical care. The department annually serves more than 50,000 patients, therefore has a unique experience and guarantees a high level of safety. The department is headed by Prof. Dr. med. Gerhard Schneider. The specialists of the department are also actively engaged in research activities aimed at finding new and improving existing methods for eliminating pain. Of particular interest are neurosciences, especially studies of the functions and disorders of the central nervous system. On October 1, 2016, Prof. Gerhard Schneider took up the post of Head of the Department of Anesthesiology at the University Hospital Rechts der Isar Munich. He is also the Professor in Anesthesiology at the Technical University of Munich. Prior to that, Prof. Schneider was the Head of the Department of Anesthesiology at the Helios Hospital Wuppertal and the Professor of the Chair of Anesthesiology at the University of Witten-Herdecke. 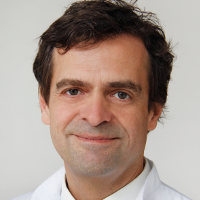 Since 2014, he has served as the Medical Director of the Helios Hospital Wuppertal. Dr. Schneider studied medicine at the Technical University of Munich, after which he completed his internship at the University Hospital Rechts der Isar Munich. Until 2009, he served as a Senior Physician in the Department of Anesthesiology at the same hospital.